The ‘eat-too-much do-too-little’ theory of weight gain suggests that body fat accumulation is caused by eating too much food and doing too little exercise. Because fat contains lots of calories it is often therefore avoided by ‘dieters’. The assumption is that fat causes weight gain because of its high energy content. By limiting fat, weight gain will therefore follow because people assume it is energy that causes body fat accumulation. However, by limiting fat, some people avoid foods that would be beneficial to their weight loss efforts, including nuts. Studies show that those people who eat more nuts have lower body weights. Now from this evidence we cannot say that the nuts are the cause of the lower body weights. People who eat nuts for example could eat other things or have other habits that are the cause of the weight loss effects. However, what we can say is that eating nuts obviously doesn't make people fat. And there is good reason why nuts don't make people fat which relates to their nutrient content. Like all plant material, nuts are composed of many tiny cells. These cells have rigid cell walls that give the tissues structure and shape. 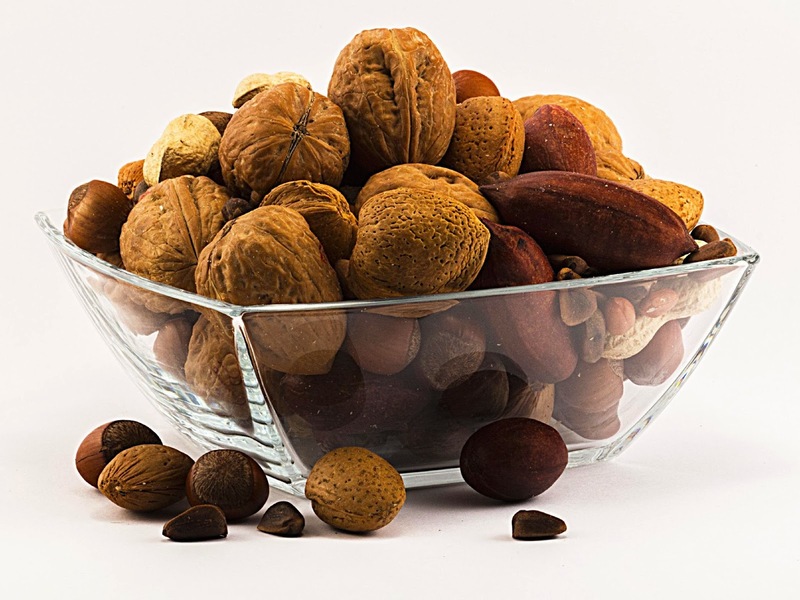 The cell walls in nuts are particularly strong, and made up of dietary fibre. This fibre is not digestible by human enzymes, and therefore anything within the cell is inaccessible. When we chew the nuts, some of the cell walls are broken and we digest their contents. However, many of the cells remain intact and their contents are never absorbed. Therefore much of the energy is not available for absorption. Are Nuts Really High Calorie Foods? Because we don't absorb much of the energy in nuts, the packaging showing their energy content is disingenuous. While technically nuts may possess high concentrations of energy, that energy may not be fully absorbed. Some of the unbroken cells are digested by gut bacteria in the colon and the lipids within absorbed further down the intestinal tract. However, much of the fat passess out of the body as evidenced by increase fat content in faecal matter following nut consumption. Another factor often overlooked by those of calorie counting delusion is that many nuts contain polyunsaturated fats. These are the same fats that are present in the Mediterranean diet in high concentrations. Consumption of the Mediterranean diet has been shown to cause weight loss, without the need to either calorie count or run endlessly on a hamster wheel. Polyunsaturated fats don't cause weight gains because they are preferentially oxidised as fuel rather than being stored. Calorie counters also pay no attention to micronutrients in foods. Many such micronutrients facilitate improved energy turnover and processing. The selenium in nuts for example is required as a cofactor for the enzyme deiodinase that converts the inactive form of thyroid (T4) to the active form (T3). Chromium is required for the correct function of the insulin receptor. Nuts also contain B vitamins that are required in all the major energy production pathways in the body. Obsessive Compulsive Disorder Or Just Nuts? Calorie counters are obsessed with calories. It’s all they think about. Their ‘if you eat it and don't burn it, youll store it’ mantra is pseudoscience at best and the case of nuts proves that what you stuff in your face doesn't necessarily end up in your belly fat. Nuts are healthy foods and when incorporated as part of a healthy diet actually cause weight loss without the need to constantly check a little book for the calorific values of foods. So stop worrying and go nuts once in a while.